The Charity Commission could be given a new power to shut down charities, according to a consultation launched by the Cabinet Office today. The department said it would run a consultation on what additional powers the commission might need to do its job more effectively, in response to a recommendation in the highly critical National Audit Office report, published today. The report says that the commission is failing to regulate charities effectively and is not providing value for money. 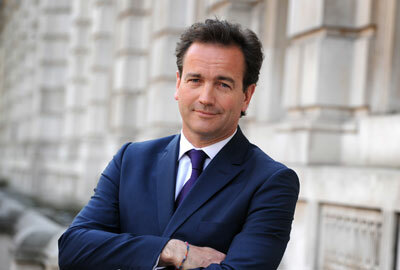 A statement from the Cabinet Office said the consultation, launched today by Nick Hurd, the Minister for Civil Society, would examine how the Charity Commission tackles serious abuse and how the range of criminal offences that disqualify people from being a charity trustee could be extended. The consultation contains proposals including giving the commission a new power to close down a charity and giving it a statutory warning power. Another proposal would give the regulator a new discretionary power to disqualify an unfit person from acting as a charity trustee. A statement from the Charity Commission said weaknesses in its powers were undermining its ability to be an effective regulator. It said the regulator was particularly keen to be given the power to disqualify trustees and powers to prevent and remedy deliberate abuse of charities. Sam Younger, chief executive of the Charity Commission, said the proposed changes would make the commission "a stronger, more robust and more agile regulator". "Effective regulation plays an important role in maintaining the public trust and confidence in charities, so we believe all charities will benefit if we are better able to tackle and prevent abuse – even though only the small proportion of charities in which abuse occurs will be directly affected by these proposed new powers," he said. William Shawcross, chair of the Charity Commission, said in September that the regulator should be given a general power to disqualify trustees. "We have asked the government for a general power of disqualification that allows us to stop unfit people flitting from charity to charity," he said. The commission does not have any powers to disqualify trustees that are suspected of wrongdoing but who step down from a charity before the regulator is able to take action, Shawcross said at the time. The Cabinet Office consultation will run until 12 February.